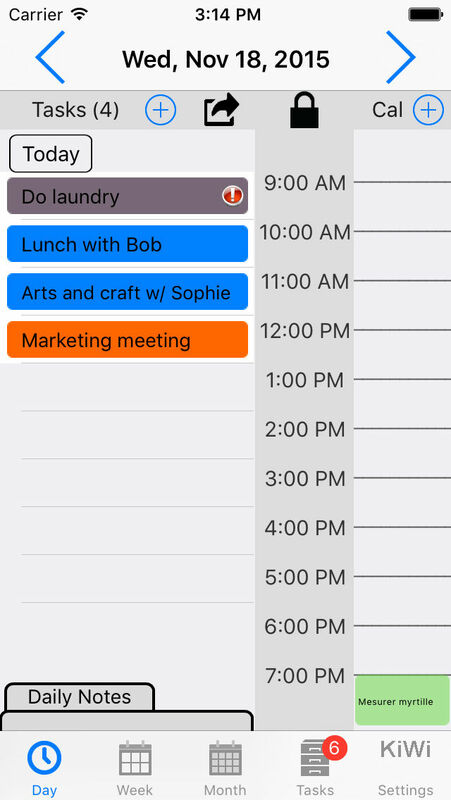 With “Task and Cal”, effortlessly manage your personal or business tasks for the following days and weeks, in synchronization with your iOS calendar. Simply define your tasks and easily gain access to an overview or detailed view of their status over time (completed, pending, ongoing, late) per day, per week or per month. Create your own color code and prioritize your tasks as you see fit, so that you can recognize them in the blink of an eye. 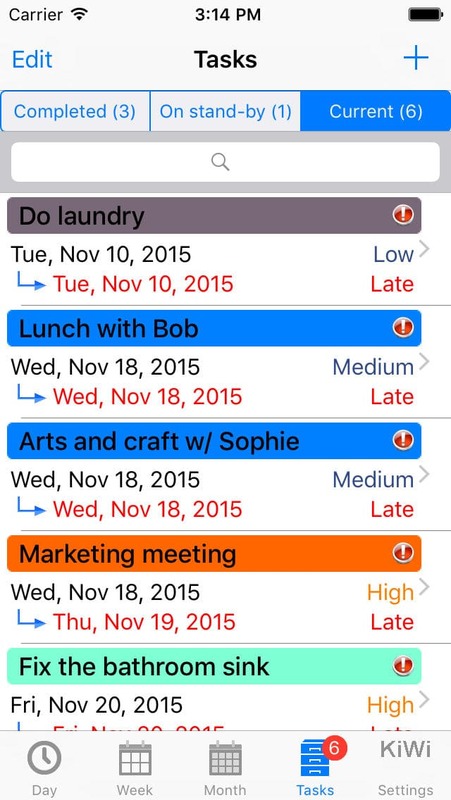 “Tasks and Cal” is automatically synchronized with your iPhone or iPad calendar and displays the events it contains. 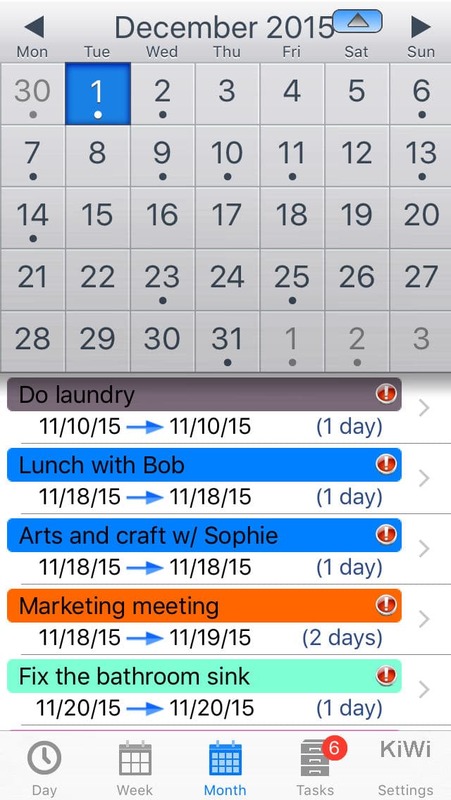 Use the daily, weekly and monthly views to have a complete and precise vision of your tasks. 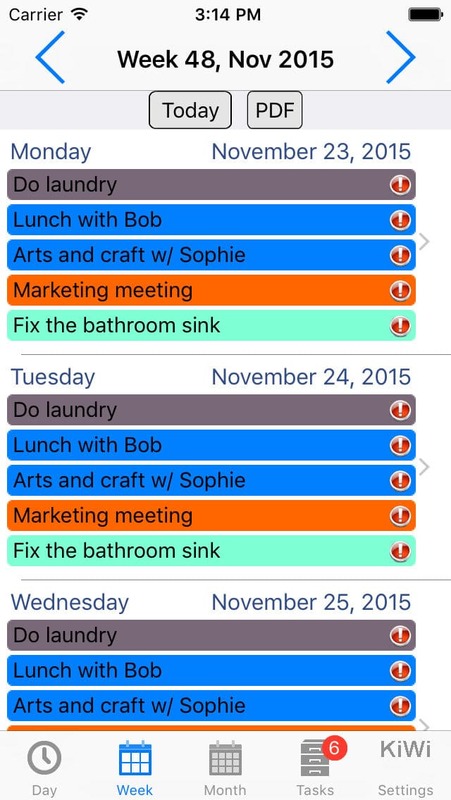 Add or modify tasks and events with a single tap. Add daily notes, if you wish to comment your schedule. “Task and Cal” automatically postpones late tasks to the following days (procrastination) and alerts you when the deadline approaches, so you’ll never be surprised by forgotten tasks anymore. Keep a history of completed tasks and easily retrieve them thanks to the built-in search engine. 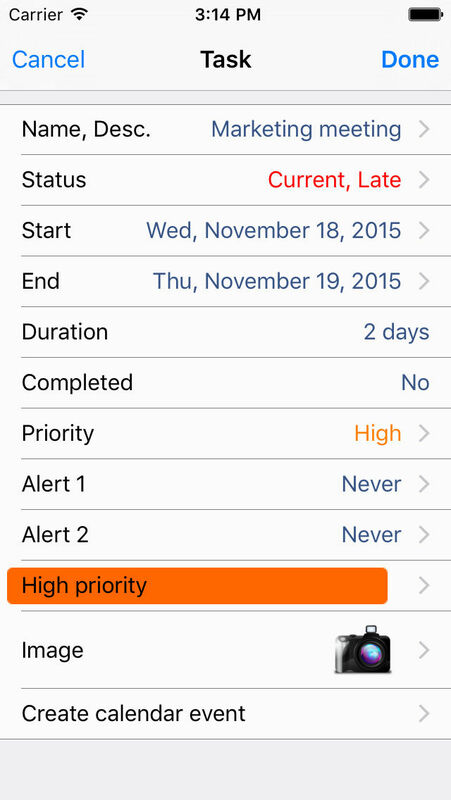 Should you need to, you are also able to define local notifications (alerts) for some of your tasks in order to be automatically reminded before they begin or end (the notification time can be customized for each task). “Task and Cal” is particularly suited to any person having to manage a number of tasks. Easily share your tasks between several devices (iPhone, iPad): the built-in import/export functionality of “Task and Cal” will allow you to transfer your data from one device to another.